It’s been a hot minute since I’ve had a proper blog post, hasn’t it? 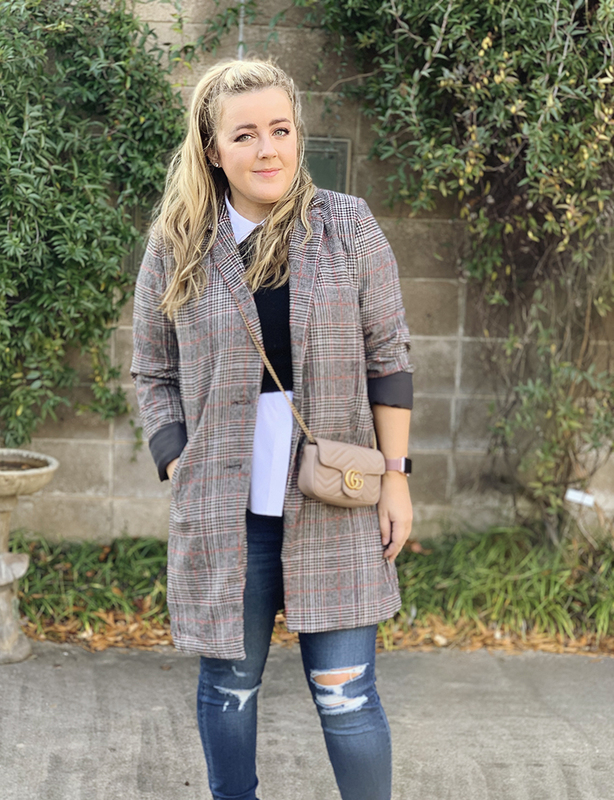 I can’t say that this is even proper, since we snapped these photos on my iPhone after voting on Tuesday, but SheIn sent me this jacket and I was feeling hella cute, so it seemed like the perfect time to feature an actual outfit on the blog. I do hope you guys have been enjoying the “Things I Wore” posts as well. I know it’s lazy, but I’m choosing to call it “authentic” instead. Sweater, VINTAGE Gap (similar-ish from XXI). Blouse, Elizabeth & Clarke (exact - it’s my favorite). Boots, Kendall & Kylie (exact, feel free to judge based on who made them but these are fierce). Bag, Gucci (exact // similar from Asos).